This classic walk along the surprisingly unspoilt Mediterranean coast has it all: hidden coves, magnificent cliff-top walking, charming little fishing ports; easy walking, and high quality accommodation with excellent cuisine. This classic itinerary (with exclusive Purely Pyrenees elements) offers you the best of the Catalan (both French and Spanish) Mediterranean. With the magnificent backdrop of the Pyrenees, explore an unspoilt coastline with its creeks, coves, beaches, gentle cliffs and panoramic views. You wil discover attractive fishing villages and small resorts where you will be able to enjoy family run auberges, boutique hotels and memorable meals. 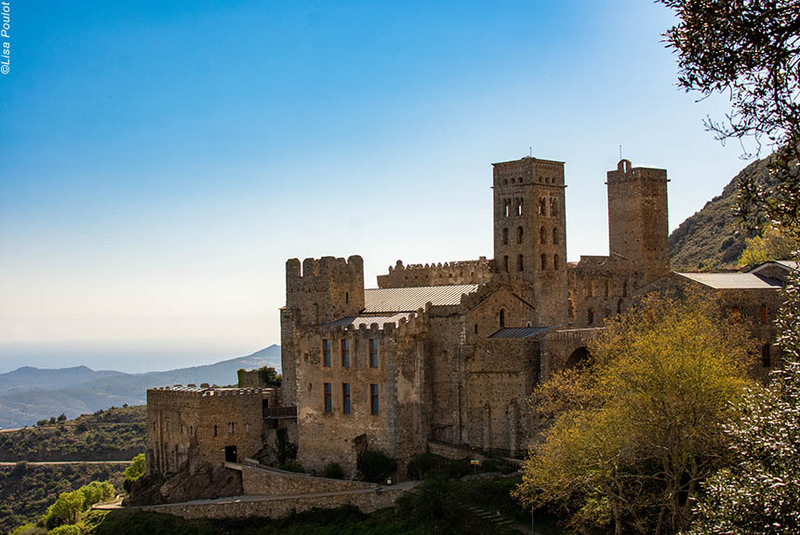 This is a region of fascinating contrasts: a landscape seeped in history where you will be able to discover walled villages, castles and signal towers as well as Matisse, Salvador Dali and other interesting artists. And there is no better or more rewarding way of exploring this coastline than on foot and at your own pace. This itinerary includes several private transfers to enable you to only walk the "best bits". Inevitably, this adds to the holiday's cost, so it cannot be directly compared with apparently similar holidays. 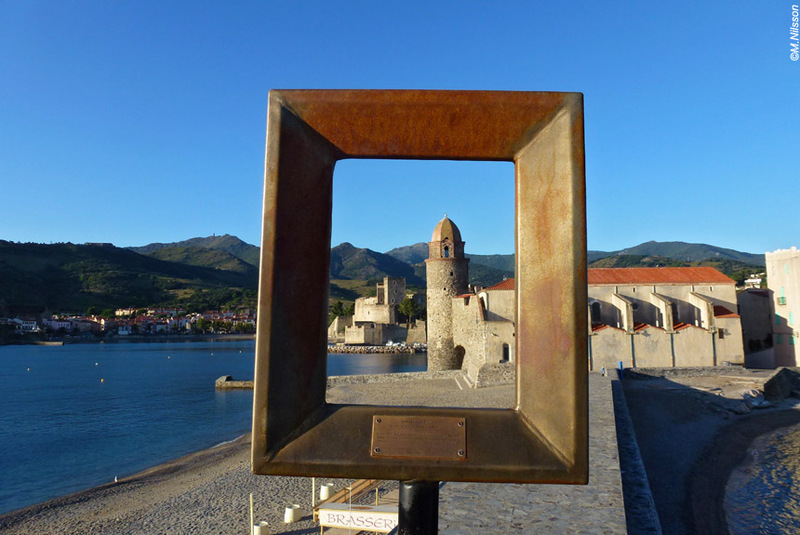 Standard option: You make your own way to Collioure. With extra airport pick-up: We meet you at Perpignan airport or railway station. Pick-ups also available from Toulouse, Carcassonne, Montpellier, Girona or Barcelona (please consult us for prices). You begin your trip in the artist's village and fishing port of Collioure with the Mediterranean lapping the walls of its royal castle. Depending on your arrival time, you can easily spend 2 hours exploring the village. Whichever transport option you choose, this will be a memorable beginning to a memorable holiday, made all the more memorable because of the hotel you stay in. Transfer time : 40 minutes. A circular walk along the hillsides below the Tower of Madeloc and past the Hermitage of Notre Dame de la Consolation. You can also choose to hike up to the tower and get those breath-taking views if you are feeling energetic and if you have decided on the "coastal option" for the following day. Walking time : 2h30 or 4h40. Height gain: 330m or 680m. Once you are satisfied that you have enjoyed all Collioure offers, you walk up to the old windmill, then on up to the fort of St Elme where you can enjoy the panoramic views of the coast, both north and south. From there, you have 2 options, along the coast or over the mountains. If you go over the mountains, you continue climbing up to the majestic Madeloc Tower through alternating "maquis" and vines, and when you see the breath-taking 360° view running from the Spanish border to the plains of Roussillon you understand why they built this watch tower here. 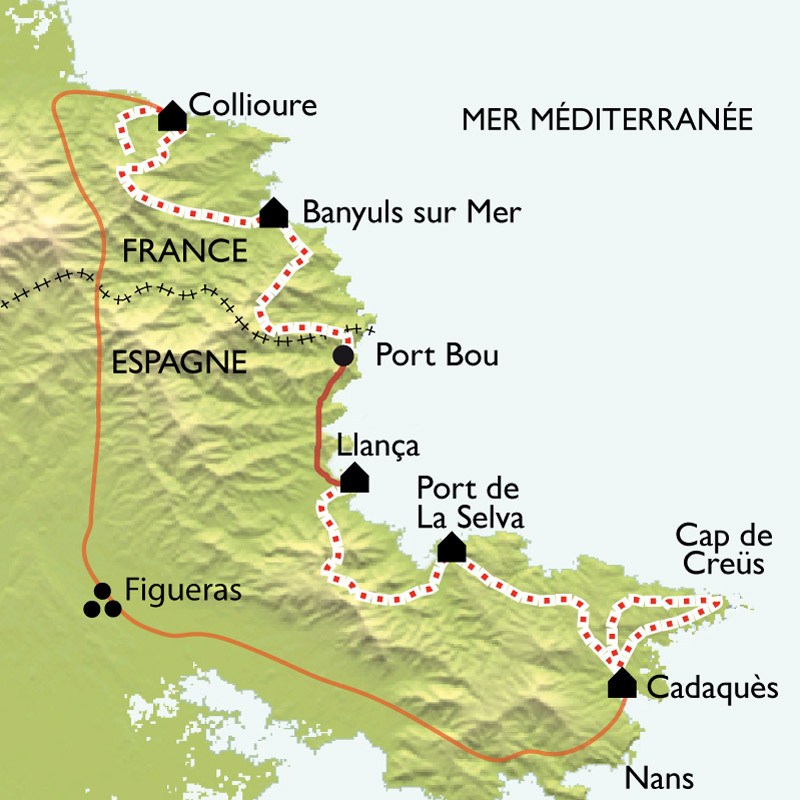 From here you descend through vineyards and chestnut orchards until you reach Banyuls. A very satisfying walk. If you choose the coatal option, you walk down to the typically Catalan and very active Port Vendres, then follow the coast by Cap Bear with its numerous attractive coves and creeks, often featuring vines and delightfully colourful, fragrant flowers. Then Paulilles beach offers an almost irresistible opportunity for a swim and sunbathe before continuing to Banyuls by Cap d'Ullastret with its crystal clear waters and hidden coves. Banyuls is an interesting and historic frontier town, which is also the end of the famous trans-Pyrenean 900 kilometre GR10 from the Atlantic to here on the Mediterranean. You now stay at the three star Hôtel Les Elmes, exclusively located overlooking the sheltered beach and scenic bay, understandably popular with yachts. The terrace and the huge windows of its La Littorine gourmet restaurant enable you to enjoy sea views while eating excellent food. Many rooms have sea views, and some have balconies. Walking time : 5h. Distance : 13.5km or 15km. Elevation : + 500m or +700m / - 500m or -700m. Today you can choose from two different walking options again. 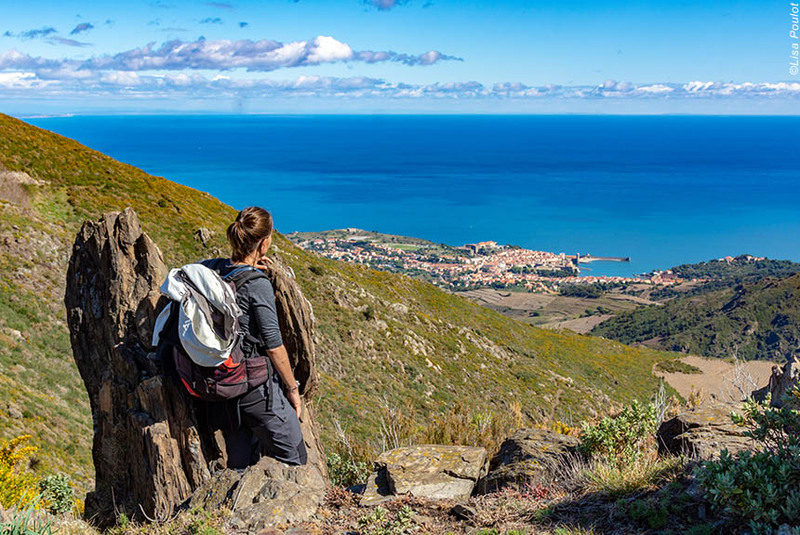 One of the walks sticks to the coast while the other climbs up into the foothills, but both will take you across the Franco-Spanish border on foot and onto the interesting (but little known) border village of Port-Bou. The Coastal Walk: you begin by walking right by the sea, but soon up onto the cliffs that form Cap Cerbère with its marine nature reserve (marked by yellow buoys) stretching almost a mile out to sea to protect the consequently numerous fish and many other sea creatures. You pass beautiful creeks popular with yachtsmen before climbing up to the border at Col des Belitres, then descend gently down to Port-Bou. The Foothills Walk: from Banyuls small lanes with ancient stone walls enable you to climb comfortably up through vineyards then "maquis" to enjoy a series of panoramic views of the nearby coast and hills with the higher Pyrenees in the distance, including the nearly 8,500 feet Mount Canigou 30 miles away, which often has snow on its summit right into summer. You walk, however, up to the rather more manageable 2,000 feet close to the signal tower, Tour de Querroig, that marks the frontier before enjoying magnificent sea views as you descend to Port-Bou. From Port Bou, you will be transferred on to Llança. Walking time : 4h30 or 5h. Distance : 11.5km or 13km. Elevation : + 500m or + 700m / - 500m or - 700m. Transfer time : 20 minutes. 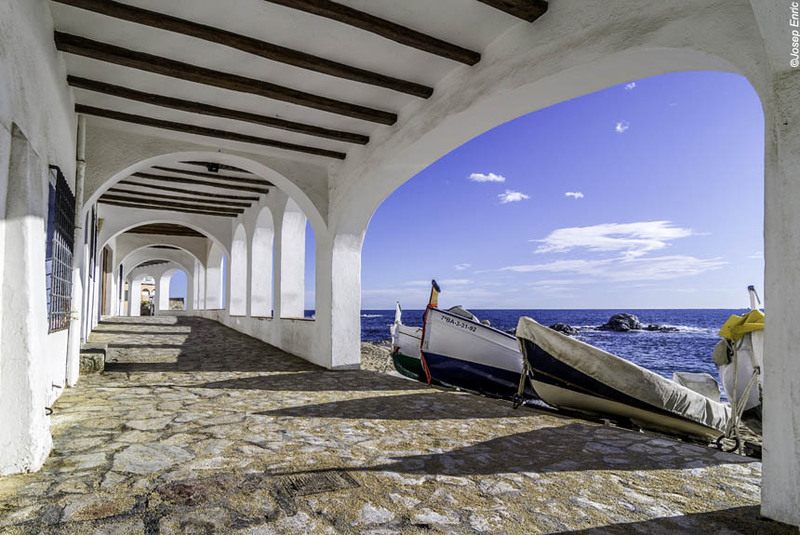 The Coastal Walk : you walk past some impressive architect designed villas to arrive at the Sarnella lighthouse, and soon after the pretty, white village of Port de la Selva offering both vibrancy and tranquillity. You can now explore the village, and enjoy all that your characterful, waterside hotel offers, or explore the lovely port of Fornells with its golden cliffs and tiny harbour. The Foothills Walk : this is a superb route through "maquis"up hidden valleys and along pilgrim paths to the beautiful small chapel of St Helena, and the imposing monastery of San Père de Rodes from where there are magnificent coastal views including Cape Creus and the white coastal villages, but if you want to climb even higher to San Salvador castle from where you can see the bay of Rosas and the Pyrenees, including, of course, Mount Canigou. Either way, you descend with the blue of the Mediterranean shimmering constantly in front of you in order to arrive at Port de la Selva. Hôtel Porto Cristo is full of character (once a maritime warehouse), especially in its atmospheric vaulted restaurant, but also offers stylish and spacious bedrooms, excellent spa facilities, and its other, nearby sea view restaurant that specialises in seafood. We think you will find it a thoroughly pleasant experience. Walking time : 4h or 5h. Distance : 12km or 15,5km. Elevation : + 250m or + 500 to + 700m / - 250m or - 500 to - 700m. You now stay for the last two nights at the four star Hôtel Playa Sol, which offers everything you would expect from such a well located, refined hotel. It is right on the waterside with its own small beach, so you get wonderful coastal views from the public rooms and many bedrooms. Yet behind the main building there is an extensive, olive tree filled garden with tennis court and excellent swimming pool. 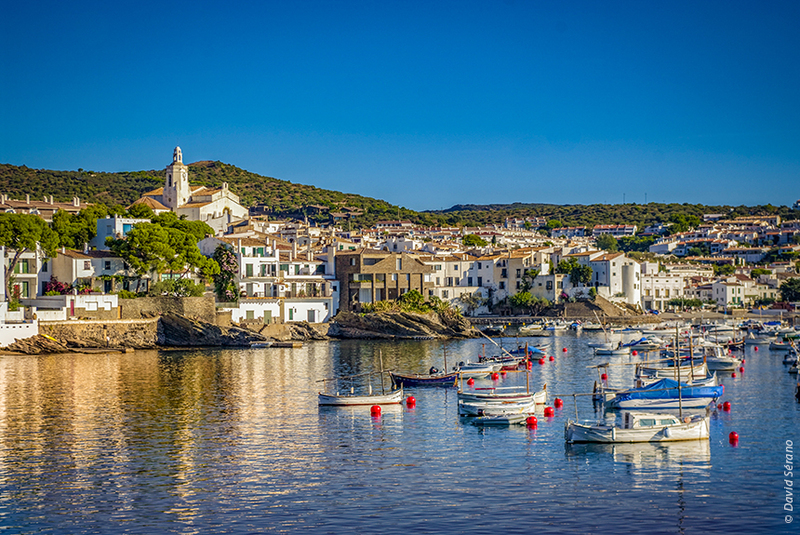 You are a gentle stroll from the centre of Cadaquès. We leave you free to choose your own restaurant for tonight, although you can always ask us for recommendations (you can also take a look in your favourite guide book, and your hotel can give you recommendations too). Walking time : 4h30. Distance : 13km. Elevation : + 450m or + 600m. Circular walk out to the lighthouse on Cap de Creus, which is the most easterly point on the whole of the Iberian peninsula, then you can walk to the Pla de la Tudela on a rough road with those rather strange rocks which inspired some of Salvador Dali's most famous works. You then walk towards, then close to the coast with its little bays and coves with crystal clear water and endless photographic opportunities. Your destination is Dali's adopted home village of Port-Lligat, and it takes no genius to see why he chose it. We would thoroughly recommend visiting his wonderfully quirky waterside house before walking on to Cap de S'Oliguera, not least because it gives you a memorable view as you arrive back in Cadaqués, although you can cut the journey short by walking directly to Cadaqués. We leave you free to choose your own restaurant again, although you can always ask us for recommendations (you can also take a look in your favourite guide book, and your hotel can give you recommendations too). Walking time : 4h30 or 6h. Distance : 12km or 18km. Elevation : + 300m or + 400m / - 300m or -400m. Standard option: Your holiday ends after breakfast. We can also take you back to your car in Collioure for a supplement (see price list). With extra airport pick-up: We will transfer you back to Perpignan aiport or railway station. Transfers to Toulouse, Carcassonne, Montpellier, Girona or Barcelona are also available (please consult us for prices). You could also choose to visit the Dali museum in Figueras if you have time before your flight (it takes about an hour and a half). Do discuss this option with us if it interests you. Transfer time : 2 hours. This holiday features comfortable rather than challenging walking, and is suitable for anybody who enjoys "a good walk". On most days there are choices of itineraries, which you can decide for yourselves each day. It can get very hot in July and August, as well as much more crowded, but the temperatures are moderated by the mountains and sea breezes. We would recommend May, June and September as the best months. You stay in double or twin rooms for 3 nights in four star hotels, 3 nights in three star hotels, and one night in a particularly good two star hotel. There is the option of a replacing the first night three star hotel with a four star hotel with a one Michelin star restaurant for a supplement. You will eat very well. Dinners are based on set menus featuring regional specialities, fish etc usually with 3 or 4 choices for each of three courses, but you can pay locally for upgraded choices. The evening meal on night 3 may be regarded as "gourmet", and you have the one star Michelin option for the first night. The two evening meals at Cadaqués are not included in the price. Breakfast is included every morning, but lunches and picnics are not because there are plenty of places to make your own choices, although the night before you can ask the hotel for a picnic, which you can pay for locally. 5 nights dinner, bed and breakfast, plus two nights bed and breakfast; transfers to and from Perpignan (only if you have selected this option); daily people transfers; daily luggage transfers; detailed walking instructions; 1:25,000 IGN map; 24/7 customer phone service. The journey to the start point or from the finish point; lunches; drinks with meals ; non-standard menu items ; entry fees ; personal and travel insurance. "There is a special magic about the Catalan coast, near the border of France and Spain. Far from the crowds and the sandy beaches, this is a wild coast with a fusion of light, wind, sunshine and rock, the brightly painted houses, the exotic plants and the pretty fishing boats have worked together to create the atmosphere that has drawn many a famous artist to the region." All our walking holidays "Cathars, culture & cuisine"